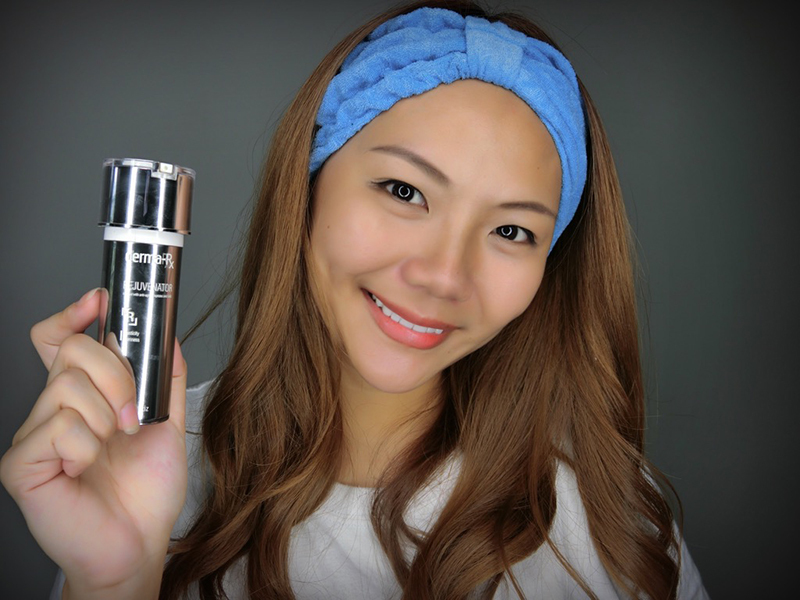 Here’s a Derma-Rx product review post that many of you have been asking for! I’ve been with my dermatologist, Dr Hui Yun, at The DRx Clinic for 2 years now. And over the past 2 years, I’ve visited them once every 6 months to get a review on my skin and to see if there’s a need to update the range of skincare products I’m using and if they are effective. Read my very first review on DRx Clinic: This is me without makeup. Dr Hui Yun has been my constant pillar of skincare advice at DRx Clinic. As we all know, finding skincare products that works for you is the golden ticket to healthy, glowly skin. Many of us have our own unique skin-related problems. I’ve recommended friends with acne, blackheads, dullness, scars, pigmentation, etc. 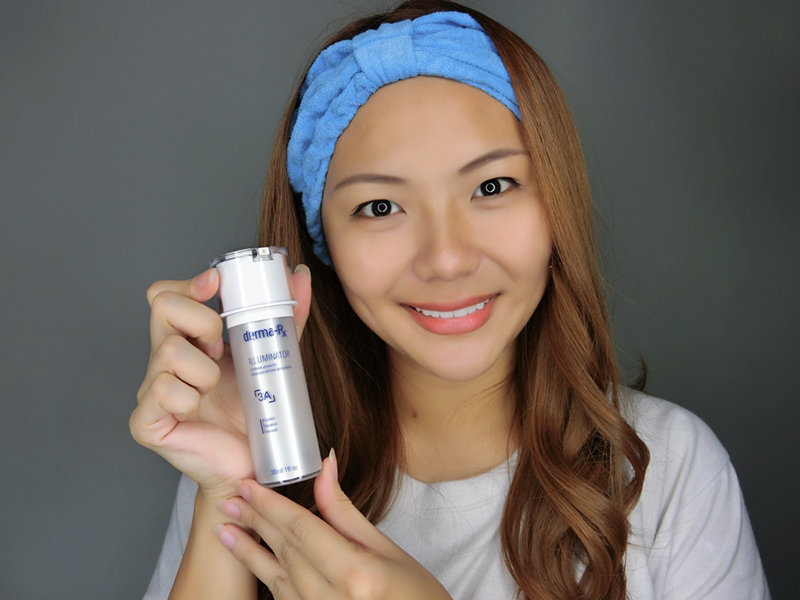 to Dr Hui Yun and their multi-step, and very comprehensive range of Derma-Rx products has helped them improve their complexion. And that makes me feel good, like I’ve helped them you know. I’ve had a lot of readers writing in and asking me which products from the Derma-Rx range suits them but I really can’t advise. Their panel of doctors are very qualified and will thoroughly assess your skin condition before they prescribe the product you’ll need. All of us are different after all. But, I can share a Derma-Rx product review of the top 3 products that are my absolute favourite! #secretnomore! This is what Dr Hui Yun prescribed for my dull skin. 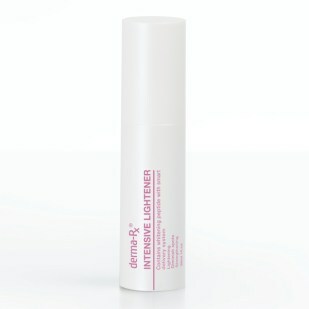 I use this together with the Intensive Lightener (see #2 below) and it really is super effective. Within 2 weeks of using this paired with the Intensive Lightener, I was wondering why my skin’s so radiant these days and then I connected the dots and realised it must be this combination of skincare products. This is my secret to heathy, radiant skin! It’s texture is very light and it’s great for people with uneven skin tone and dull sallow skin like mine. This is what I use for my uneven skin tone. It is super effective. So effective that it actually lightened even my eyebrow embroidery! :O This works so well, I never want to stop using it! Worth every cent. This acts like my moisturiser and is the last thing I apply onto my skin. This helps to stimulate collagen production and cell renewal. I use this day and night and a little goes a long way. It’s easily absorbed into my skin (even after all the previous products that I have already applied onto my face) and makes my face feel moisturised. For enhanced elasticity and firmness, use the Rejuvenator. You’ll want to know that this contains the highest concentration of collagen-protecting Glycosaminoglycans (GAGs) than any product in the market. Anti-aging peptides are also infused into the product and works hand in hand with GAGS to give you firmer and younger looking skin. I hope you found this Derma-Rx product review useful. Now, are you ready to find the best combination of skincare products to improve your skin? Their products are mostly on a prescription-basis only so do call them to arrange for a doctor consultation. Quote my name/blog when you call to see what’s the latest discount! Previous Post If Your Face Is A Little Bloated Lately, This Is The Facial For You!